Quinceañera 15th Birthday Candle Favors - Chandelier - Our dripless Quinceañera Birthday Candle Favors are made in the USA, and decorated with a chandelier and 2 Swarovski crystals. 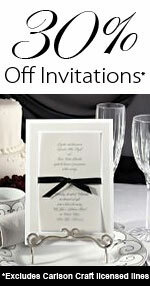 These make a lovely keepsake to give your guests at your Quinceanera! There is a minimum order requirement of 12. Personalization is your First, Middle and Last Name and Birthday. Quinceañera Candle Favor Size: 1.5" wide x 1.5" tall. Comes wrapped in cello and tied with a color coordinated ribbon.